‘Seek and ye shall find.’ With these words echoing in his head, eminent Harvard symbologist Robert Langdon awakes in a hospital bed with no recollection of where he is or how he got there. Nor can he explain the origin of the macabre object that is found hidden in his belongings. A threat to his life will propel him and a young doctor, Sienna Brooks, into a breakneck chase across the city of Florence. Only Langdon’s knowledge of hidden passageways and ancient secrets that lie behind its historic facade can save them from the clutches of their unknown pursuers. With only a few lines from Dante’s dark and epic masterpiece, The Inferno, to guide them, they must decipher a sequence of codes buried deep within some of the most celebrated artefacts of the Renaissance – sculptures, paintings, buildings – to find the answers to a puzzle which may, or may not, help them save the world from a terrifying threat. In one of my favourite quotes from an Amazon reviewer ever, they said that their reading experience of a book was very much like being tied to a chair with things being thrown at their head, and Inferno did produce in me a very similar feeling. Throughout the course of the book you are constantly assailed with factual information, covering everything from Florentine architecture, Venetian history, the science behind population control and of course every nuance of Dante’s great work itself. Thus, in certain passages, particularly those set in Italy, the control of the tension of the narrative is lost when trying to process all this information. For example, during what should be tense and nail-biting ‘chase’ scenes, the story rather assumes the pace of the protagonists taking a recalcitrant dog for a walk, insisting at stopping at every lamp post and bush, to gather the information contained there. Likewise, much of the description of location and history could be garnered from a good travel guide or history book and merely serves to slow down the plot or as I would tentatively suggest, border on the realms of showing off how much research Brown has done. As the ‘action’ moved from one location to another I trembled with dread at another slide show or lecture about Langdon’s surrounds, bringing back memories of tedious schoolroom days. I feel as a reader, that if half of this information had been edited out, there would have been the makings of maybe quite a compelling thriller and narrative arc that would hold the reader’s interest much more effectively. 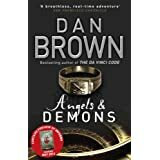 We all know that Dan Brown isn’t a particularly good writer, that rather undoes the inclusion on his CV of being a lecturer of English and Creative Writing, so characterisation and believable plotting is rather thin on the ground here. Sometimes this doesn’t matter too much in thriller writing, but labouring under the weight of the factual information as previously mentioned, I feel that these two aspects of the story needed to be much more compelling to underpin the factional quality of the book. Langdon and his obligatory female cohort haul themselves around every location under the threat of perilous danger, but neither character is particularly well-realised and the apparent quirks in each persona feel awfully forced and more to the point unbelievable, and I found my empathy with both was in short supply. Every ‘baddie’ in the plot is straight out of central casting and with the stunningly obvious reveals at the end it all feels a bit contrived. To give Brown some credit the central premise of the book directed by the worrying plight of the ever increasing population growth across the globe, is a great starting point for a conspiracy thriller, but unfortunately it unveils itself with a preachy tone and the final denouement is frankly ludicrous into how a virus would react on a general population. So what I have learned from my return to the fiction of Dan Brown? Well, first of all that in the realms of conspiracy thriller writing there are far better authors out there writing fast-paced, credible and well-characterised books. However, I do know now in some intricate detail every landmark, statue and artwork within the boundaries of Florence and Venice. I am now fully cognisant of the most important passages of Dante’s masterpiece, and how we are all doomed, Mr Mainwaring, doomed if our population growth isn’t reined in somehow. But most importantly I have learned that, however much I didn’t like this book, there will be hundreds, nay millions of readers that will positively lap it up and pour oodles of money not only into Mr Brown’s expansive pockets but, more importantly, into the publishing business thus ensuring the funds of supporting other better writers, so it’s not all bad is it? 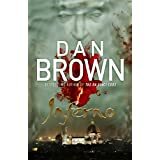 Visit the Dan Brown website to find out where you can buy Inferno all over the world. Dan Brown at the 2013 Dublin Writers Festival, Ireland Don’t miss Dan’s first event in Europe to promote Inferno on Monday, 20th May at 8.00 pm. Book your ticket now. 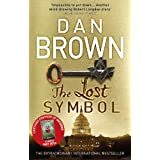 Dan Brown at the Masonic Hall, London – in association with Waterstones Waterstones is proud to present an exclusive evening with Dan Brown on Tuesday, 21st May at 7.00 pm. Book your ticket now. WIN a signed copy of The Lost Symbol! Know someone who isn’t signed up to the Dan Brown newsletter? Tell them to register before June 30th 2013 for the chance to win one of 20 SIGNED hardback editions of The Lost Symbol. Sign up now on the Dan Brown website. 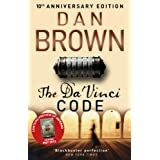 When I read the Da Vinci Code, upon the recommendation of a friend (sic), I thought it was a satire… As you say, he who laughs last all the way to the bank… I think you’ve been very fair in your review. Everyone is tearing this apart! It kind off makes me want to read it even more though! Good review!